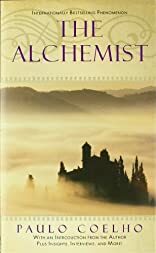 Alchemist Inscribed By the Author was written by Paulo Coelho. About Paulo Coelho (Author) : Paulo Coelho is a published author of adult books. Some of the published credits of Paulo Coelho include The Alchemist, Enigma: 2008 calendar. 9/11/2009 Tina Mackin said: Inspiring! Many of his words ended up in my personal journal! 7/15/2009 Marie Paris said: Deep, thought provoking, soft spirituality. Beautiful setting in the story (Amazon).